Chairman & CEO Miguel Frasquilho of AICEP, the Portuguese Trade & Investment Agency. 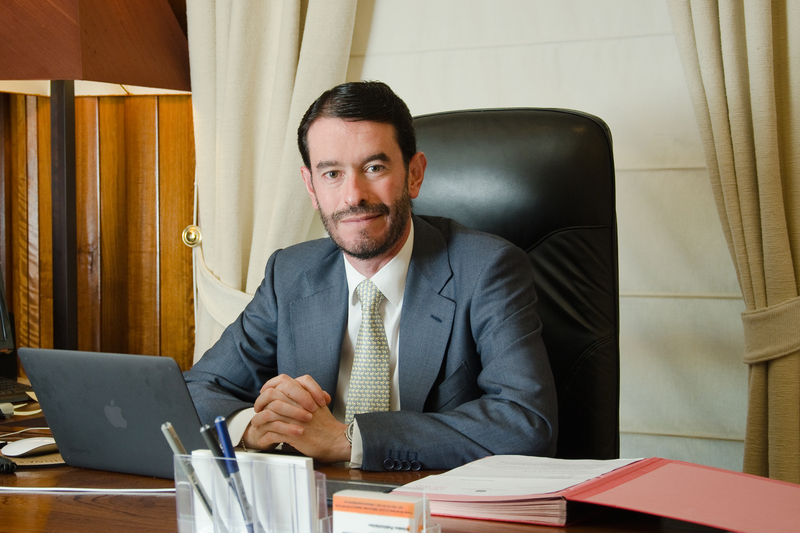 The following is a written interview between NewsWorld and Chairman & CEO Miguel Frasquilho of AICEP, the Portuguese Trade & Investment Agency, in which he spoke of the current state and future outlooks of economic relationships between Korea and Portugal. AICEP Chairman Frasquilho is visiting Korea to officially open AICEP’s office in Seoul on Oct. 26. Question: Congratulations on AICEP’s official opening of a branch in Seoul. Will you tell our readers about the purpose of the branch as well as AICEP’s mission and vision? Answer: Our vision is to make Portugal even more global than it already is. Therefore, we want to help Portuguese companies go global and foreign companies to understand that Portugal can be a strategic hub for the development of their businesses. And we have been doing this with success. With the resilience of our entrepreneurs, exports currently represent 40 percent of GDP, when this rate was below 30 percent of GDP some years ago. Concerning investment, we had a setback during the international financial assistance period. Nevertheless, we were able to implement a very friendly investment and business environments that are already showing good results. FDI is flowing again into the country and last year we recorded some impressive growth. According to our strategic plan we aim to be present in new markets that can help us boost these figures. To make this vision operational we have a plan to open 12 new offices. We will have around 65 in the world by 2016. This expansion of our global network is part of our philosophy of being nearer to the companies and investors, helping them go further in their businesses. South Korea is obviously one of the promising markets with whom we want to start a success story. Both in presenting Portuguese products and services and in bringing Korean company’s attention to a country were investing means flourishing opportunities. Q: Will you give an assessment of relationship Korea and Portugal have so far maintained in many fields, particularly in the industrial and commerce sectors, and touch on future prospects? A: Trade between Portugal and Korea still records a very low level and we believe we can do a lot more. Even if we export machinery and apparel, footwear and agricultural products to Korea, we mainly sell car tires. On the other hand, we mainly import vehicles from Korea. FDI is also far from the levels we aim to reach. This visit to Korea has a great potential and can significantly contribute to increase our economic relationship. Q: Will you introduce your country’s key industries with which Korean companies do business? A: Portugal has a strong new generation of start-ups, entrepreneurs and entrepreneurial businesses. 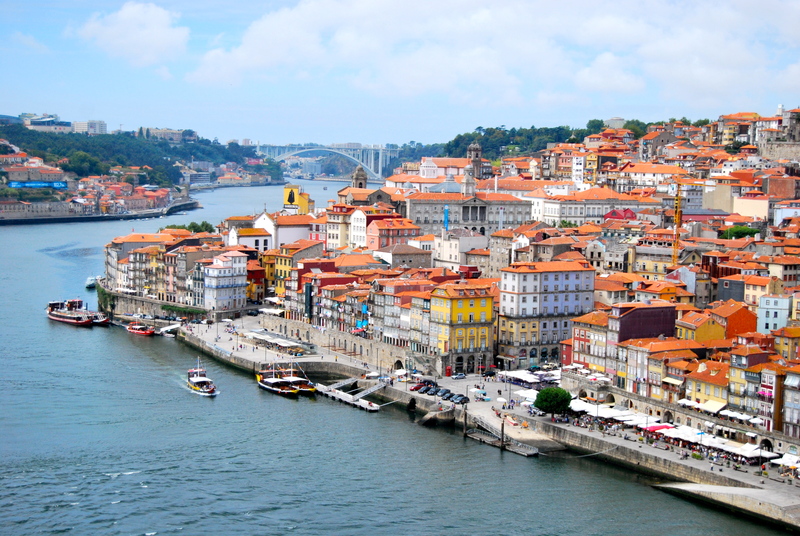 Portuguese companies have acquired important international experience and value. We sincerely think that there are many companies with which Korean enterprises can and should do business. And in many sectors. Even it’s fair to say that Portuguese and Korean companies can find fields of opportunity to develop partnerships in renewable energies, ITC, telecommunications and agro foods, the opportunities are broad-based. Our companies can easily adapt themselves to special requests, fulfilling all requests. They will do so with state of the art solutions and technology, always delivering what they promise. AICEP can help Korean companies improving the matchmaking. Q: Will you elaborate on your country’s infrastructure, manpower development and other business-friendly conditions for foreign investors? A: Portugal has unbeatable competitive advantages that turn us into a beacon in what concerns investment attraction. We could mention our strategic location: Portugal can play an important role as a hub to access key worldwide markets such as Europe, U.S. and Africa. And we combine this natural asset with high quality infrastructure. We have a set of ports, airports, railroad and roads, which help companies receiving parts they need to incorporate and speeding up their final products to foreign markets on time. Portuguese state of the art infrastructure ranks 15th worldwide, according to the World Economic Forum. Our ICT infrastructure also ranks among the best in the world and we have a strong, flexible, available, committed and productive work force with a high level of education in business-oriented areas. Our workforce is able to speak up to two/three languages, being English, French and Spanish the most common ones. Talented Human capital is an important asset for companies investing in Portugal. It’s fair to say that companies have no difficulty in finding what they need to develop their businesses. These and other tangible aspects — like incentives — and intangible ones such as hospitality, easy integration of foreigners and the image it has of being a pleasant and safe country to live in are some of our competitive and distinctive attractiveness factors. Over the last few years Portugal corrected many of its structural imbalances, increased its competitiveness and improved its economic outlook. We sincerely think that Portugal is the Right Choice in the Right Time to invest in. Q: Will you elaborate the incentives Portugal give to Korean companies wanting to enter the Portuguese market? A: Korean companies will already benefit from most of the structural reforms implemented over the last few years, like the Corporate Income Tax one. The CIT rate will range between 17 percent to 19 percent by 2018. But also works as an important incentive the fact that we have improved and introduced much more flexibility in our labor market framework. For instance, companies and employees can currently manage their working hours in order to fast respond to peaks of demand trough a bank of hours system. On top of all this, Portugal as an attractive incentive package for companies willing to invest in. We are talking about both financial and tax incentives. This is part of our competitive offer. And we will transmit all the necessary information to potential Korean investors. Q: What are Portugal’s real competitive advantages for Korean companies? A: By all the reasons I mentioned above, Portugal can be really attractive to Korean companies. I think the best way to understand how Portugal and its companies have evolved, and the potential to trade with and invest in is to visit our country. We invite all Korean companies and investors to visit Portugal. AICEP can set up tailor made agendas. The country won’t let them down. Portugal is a reliable partner. Take a look for example at the last data of the “REP Track” from Reputation Institute. If we look closer, you will see that in 2011 we were ranked 21nd. After 4 years of international financial assistance, the country’s reputation improved and ranks now 18th. Well, this means that even under difficulties, trust is an asset that we cherish very much. And trust is a pillar in the world of business. Q: What sectors is Portugal interested in targeting in Korea? A: Koreans already know the quality of some of our products. Our tires equip their cars. And also know our wines, and other agro foods. But we want to go further. We are looking very much into broad-based opportunities. For instance, opportunities in the ICT field. We are aware that Korea has a strong reputation in the technology field, but we believe many Portuguese companies can surprise Koreans with their technological achievements. It may surprise you that Portuguese technology is present around the world in a wide range of industries such as aviation and the auto industry. We are also looking into opportunities in the renewable energies field. We are pioneers in developing this form of energy. We do not only take advantage of our natural resources, but we also develop clean energy technologies such as the most efficient wind tower, a full electric bus to operate in cities and airports, and we also manufacture solar panels and solar tiles. And I could continue with many other sectors and examples. There are great Portuguese goods and services that can be sold in Korea. Q: What sectors can Korea and Portugal collaborate in? Do you think that the two countries can cooperate in exploring other markets, particularly African countries? A: Portugal and Korea can cooperate very deeply, joining the best assets from both sides. Korea has a strong experience in investing abroad. Portugal has a strong knowledge in developing partnerships with other cultures. As mentioned before, Portugal can work as hub to access other important geographies like African countries with which we have a strong strategic relationship. With some of them we share a common language, a very important asset: The Portuguese language is spoken by 250 million people worldwide. It is fair to say that companies who invest in Portugal have a competitive advantage when planning to access the African Portuguese Speaking countries. We definitely can and should cooperate. Portugal really is the Right Choice in the Right Time to invest in.